This review is about one more lip product from the brand FOREVER, which is quite famous for its organic pure aloe vera juice and gel. 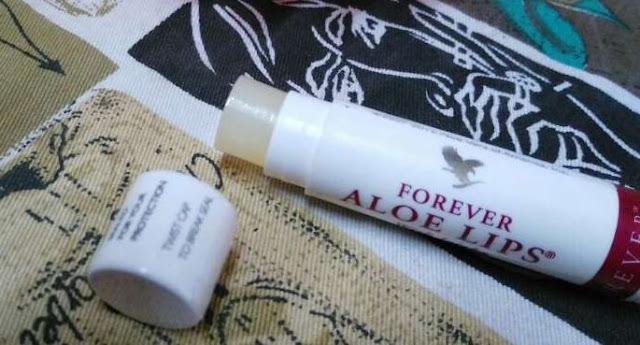 The best thing about this Forever Living Aloe Lips With Jojoba Lip Balm is that it comes in a very travel friendly cute packaging and works wonderfully for most of your skin problems specially giving you soft beautiful lips with regular use. 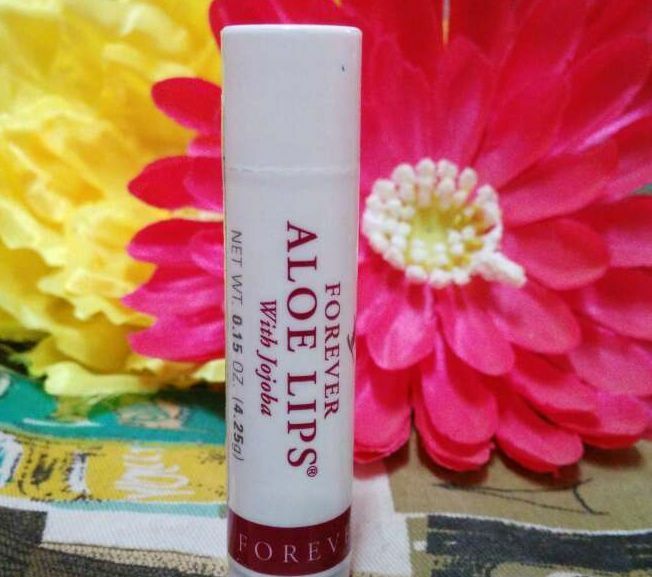 What Forever Aloe Lip Balm Claims? Moisturising conditioning balm for lips that soothes and provides protection in hot and cold temperatures. 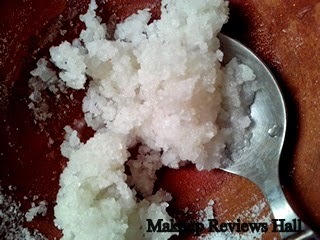 Suitable for use on other parts of the body to calm irritated skin. 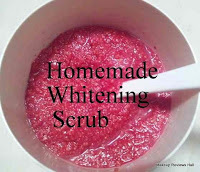 Use it as a lip salve, lip gloss and for the prevention of cold sores. 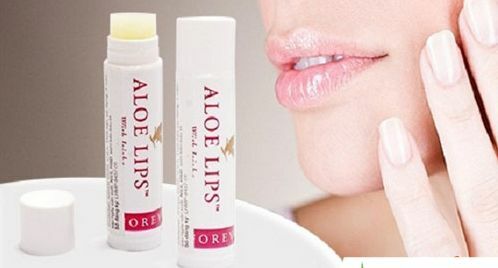 And because Aloe Lips has such a large proportion of aloe, it can also be used as a first aid stick on stings, bites, or cuts. Get kissable lips with this rich and nourishing pocket-sized lip balm. 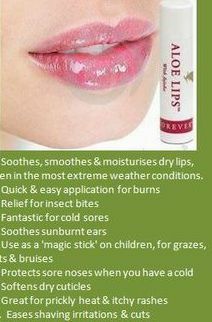 Soothe and moisturize dry lips with the conditioning ingredients of aloe, jojoba and beeswax. Great to protect lips all-year round. The packaging of this lip product is simple yet convenient for frequent use. You can directly rub the balm on your lips unlike the lip gloss and balms in tube packaging and thus preventing the mess with hands. The twister below is quite smooth to lift the balm for application. Forever lip balms come in different shades as tinted lip balms but this one with jojoba is clear and specifically for lip moisturization. 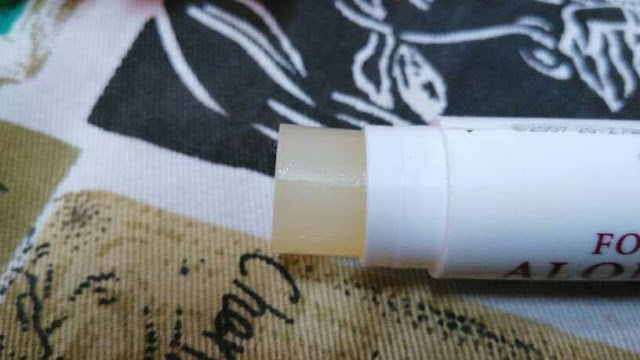 If you are looking for a tinted lip balm, you can give this homemade tinted lip balm a try. The balm goes on to lips super smoothly and immediately gives a nourishing effect. The lips feel very moisturized immediately on application. The only problem I faced with this balm in this summer is that if you rub the balm little more generously, it tends to use a lot of amount for single application because of its melting texture in these hot summers. So I just apply it once and then press my lips within for even application, which is much more for the desired moisturization. The effect of this chapstick is great. Its a great moisturizing cream for dry chapped lips. I have been using it since about 10 days and actually felt my lips to be much more smoother and moisturized than normal with less lines. It adds a beautiful gloss to lips when used above lipstick making the color of the lipstick even more vibrant. The staying power of this chapstick is also more than regular chapsticks. It even stays on your lips and does not get completely wiped off even after drinking and excessive talking. 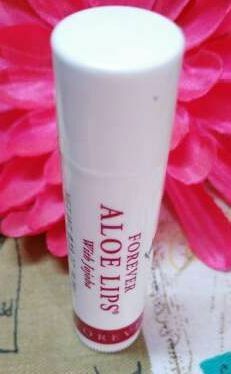 Overall I like this Forever Living Aloe Lips With JOJOBA Lip Balm very much. Its a great lip nourishing balm for dry chapped lips to turn them into soft supple lips with just few regular usage. 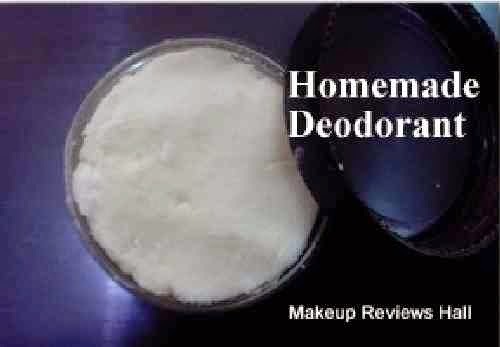 I am loving this since its very affordable, comes in a convenient packaging and also perfect for those with sensitive nose since it doesn’t leave any strong fragrance on application and comes with multiple uses. I would like to buy this lip balm again but this time in winter to deal with winter’s extra dryness of my lips. Very moisturizing and nourishing lip balm for dry lips. Heals dry chapped lips nicely. Reduce lip lines on regular usage. Comes in a convenient packaging for regular use. Not heavy or greasy on application. 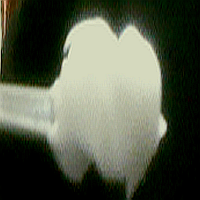 Stays for quite long time even after few lip activities. Good for those with sensitive nose. 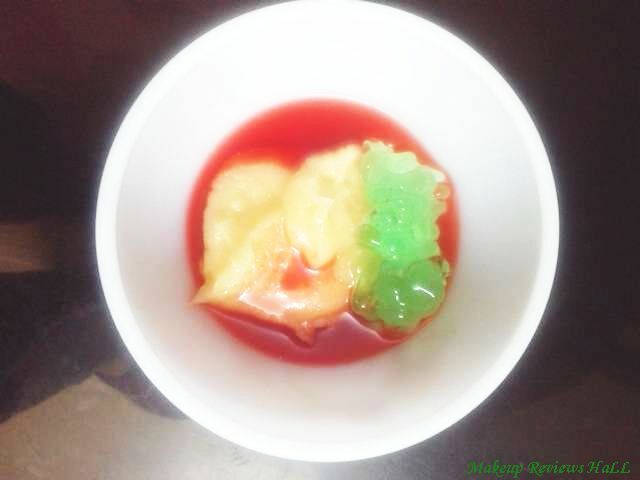 Gets melted easily in summers. Not for those looking for tinted lip balms. Thank you for this post. 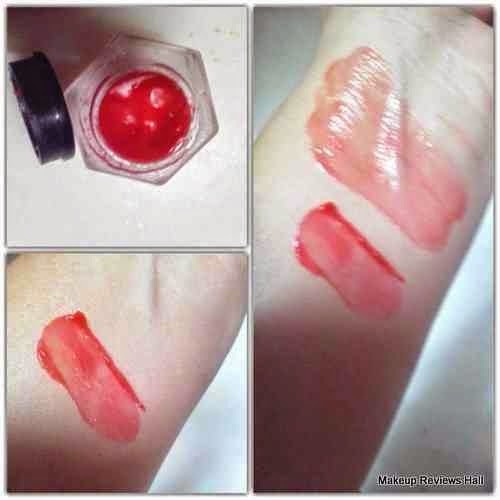 Very good lip balm you have shared but I am using “Annimateo” Natural Mega Lip Stick Plumper Balm. 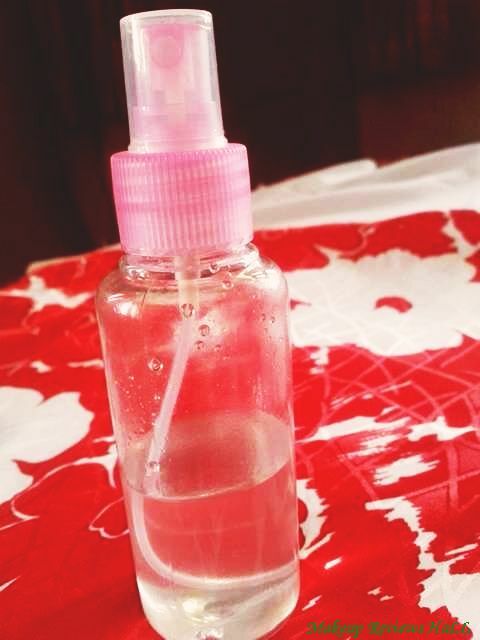 The product is completely natural and is free of petroleum products, parabens, perfumes, artificial colors etc.. I would like to try your products once.